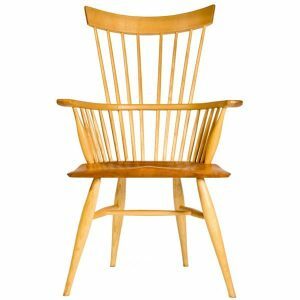 You have just spent 5 days making your first Windsor chair and are thinking about taking it further when you get home – how do you go about it? Did you take lots of notes and photos during the course? If so, then go over them, put the photos with the notes and you have your instructions. 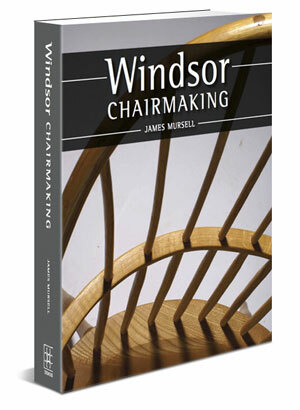 Otherwise a copy of Windsor Chairmaking has almost everything in it and more. There are woodturning teachers all over the country. If you don’t know any turners then contact a local turning group who will be pleased to put you in touch with a teacher. 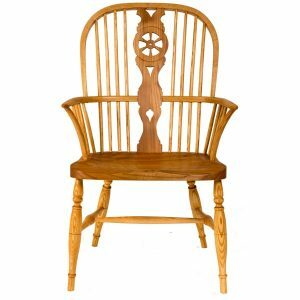 Make sure that they are happy to teach you spindle turning if you want to make chairs! A bench is essential along with a vice. The pattern makers vices at The Windsor Workshop are ideal, but expensive (http://www.axminster.co.uk/axminster-pattern-maker-s-vice) . You could make a shave horse for shaving spindles, but working standing up is quicker and you will still need a vice! Take photos of the workshop’s benches. They are very easy to make, using a saw driver and lots of screws, and give you everything that you will need – you are making a box. Veritas ‘wonder dogs’ http://www.axminster.co.uk/veritas-wonder-dogs-pups are great for clamping the seat onto the bench. Solo speed clamps http://www.axminster.co.uk/solo-speed-clamp are far superior to traditional ‘G’ clamps. Don’t rush into steam bending with the boiler, steam box and bending jig (+/- winch). Make at least one chair without steam bending – laminate a crest instead. If you are still keen then get/build the rest of the kit. Cost of shipping calculated in shopping cart depending on destination. Seat wood is always dry. Kiln dried will be fine but air dried is preferable as the wood hasn’t been ‘cooked’ and will be easier to work. If choosing air dried then keep it in your house/workshop for several weeks to allow the moisture content to equilibrate with the atmosphere that it will eventually be in. Perhaps put it under the bed and forget it for a couple of months if you can plan that far ahead. You will need to thickness the seat wood to produce two parallel surfaces and the correct thickness. Instead of buying very expensive and large machinery to so this, make contact with a local friendly cabinet maker. He will probably do it for you at modest cost and eventually may allow you to do it yourself. 1 ½” for side chairs and stools and 1 ¾” for large armchairs is a good guide. The first is used at The Windsor Workshop and is to use air dried wood for all parts other than the seat. Air dried is perfect for bending, if it has not been brought indoors and dried further. For spindles it is advisable to rip to size and then rehydrate with a little water in a polythene bag, for a few days. All the water that is added should be absorbed, so do not be too generous. Turning air dried wood is far more pleasant that turnign kiln dried. Seek out a local estate with woodland and try to make contact with the forester. 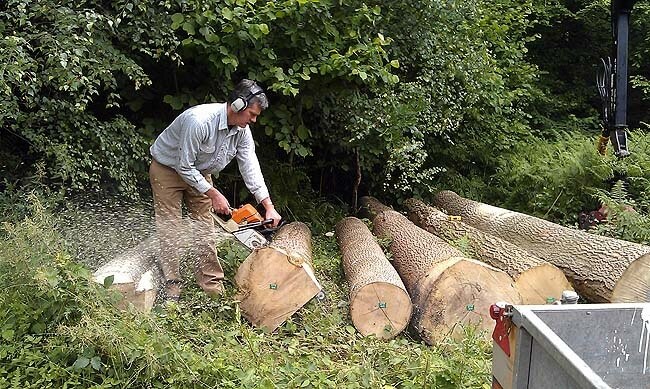 Otherwise find someone that sells logs and cuts them himself. If you can interest him in what you are doing then he’ll look out for straight fast grown wood that will suit your needs. If you can find near perfect wood then it is worth almost anything, within reason, as your chairmaking will be so much easier. Poor, bent and knotty wood is a liability and you should not part with any money for it unless you need firewood! Logs should be 9” or more in diameter to be useful. At 9” you should be able to handle them by yourself without machinery. If necessary split them in two to bring them home. If you are local to The Windsor Workshop then I can usually supply wet wood for making spindle and for turning. Bending wood can be split from a round tree, or you can use air dried straight wood. Make sure there are 7 or fewer rings per inch. Lathe, pillar drill and band saw. The first is essential, but you could manage without the others though they will make your life much easier! Drawknife, spokeshaves, travisher, rasp, saw (Japanese), hammers, gouge, square and rulers. From my experience it is better to buy tools only when you are convinced that you need them. Most jobs can be done in several different ways and you may already have a tool that will work. If you have done a job with a sub-optimal tool then you will really appreciate the proper tool and will be able to make a better informed buying decision. Buy the best that you can afford. You will be able to work better and faster with good tools. ‘A bad workman blames his tools’ is a lousy saying! 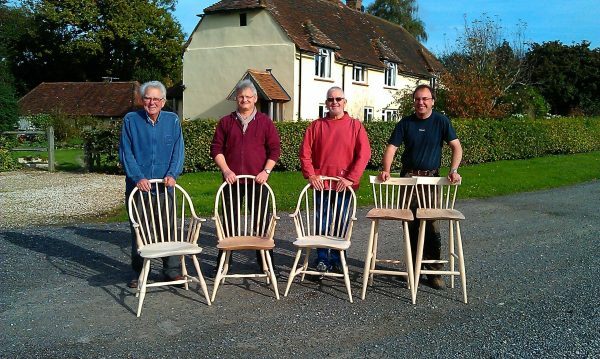 Specialist chair making tools made in West Sussex by James Mursell. You will have the plans from the course chair so you could make another. You also have an example which will serve to remind you of how it was made. 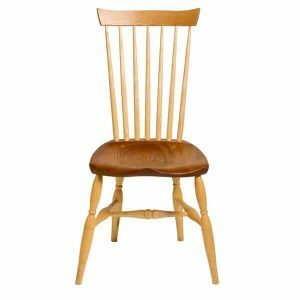 If you want to try something new then have a look at the other available Windsor chair plans. Perhaps try the ‘contemporary comb back side chair’ and laminate the crest, or keep it simple and make a stool as used in the workshop – 13” diameter top, 16 degree leg angles (the rest you can work out for yourself!). 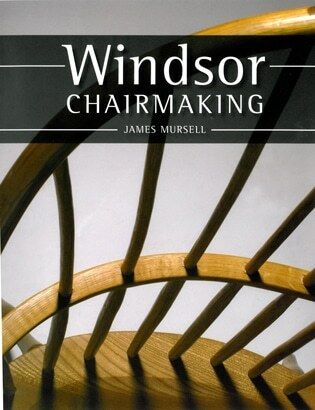 Make a different chair using James Mursell’s Windsor chair plans. Available to purchase as digital downloads or physical plans mailed to your home. If you are really keen, then buy some of the books in the bibliography and spend hours looking at the photos. You will get to know what you like and what you don’t. Design a chair of your own incorporating all the things that you like. Lots of good books out there – e.g. Ron Hock’s ‘The Perfect Edge’ is one of the best. Don’t forget the felt wheels that I use – I can sharpen all the tools in the workshop in 1 hour! You need a system that is quick, easy and effective. Experiment until you find a method that suits you. www.axminster.co.uk – Tool supermarket. Get the catalogue!